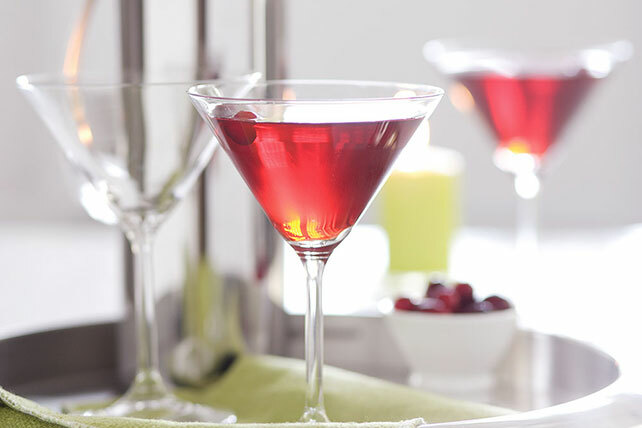 Try our Double-Berry Martini recipe, featuring vodka with a splash of cranberry and sweet raspberry. A Double-Berry Martini is great at cocktail hour, before a dinner party or to toast to a special occasion! Empty drink mix into 2-qt. glass or plastic pitcher. Add water, juice cocktail and vodka; stir until mix is dissolved. Stir in club soda just before serving. Pour over cranberries in martini glasses. Omit vodka, and increase water to 2-1/2 cups. Substitute sparkling water for the club soda.